How do I change my already existing forms (not on the Adobe Form Central) to submit their new submissions to Jotforms for inclusion into a database? If I understand the question correctly, I think what you wanted to do is to be able to import an existing data into a form submission in your Jotform form. 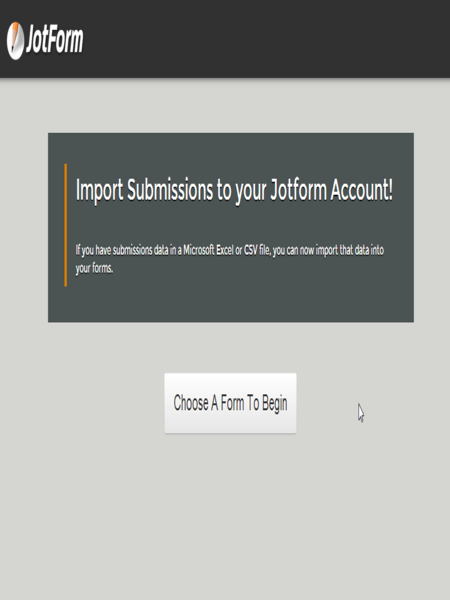 There is a JotForm app that will allow you to import external data source to a form submission database. I am referring to the Import Data App. first, you need to have the external data source file... I assume you can export your data source to a CSV or Excel data format? If you can do this, you can then import this data to your form. Hope this help. Please let us know if this is not what you were looking for. Not really. I have created forms in Adobe Acrobat Pro, and want to continue to have functionality similar to Forms Central. That is, I would like to retain the ability to have distributed forms with the Submit button on the bottom which populates the responses in JotForm. My existing forms that we created prior to end of Forms Central continue to function properly, however, I would like to add some forms to the ones that we currently use. Does that clarify what I am asking? My existing forms that we created prior to end of Forms Central continue to function properly, however, I would like to add some forms to the ones that we currently use. 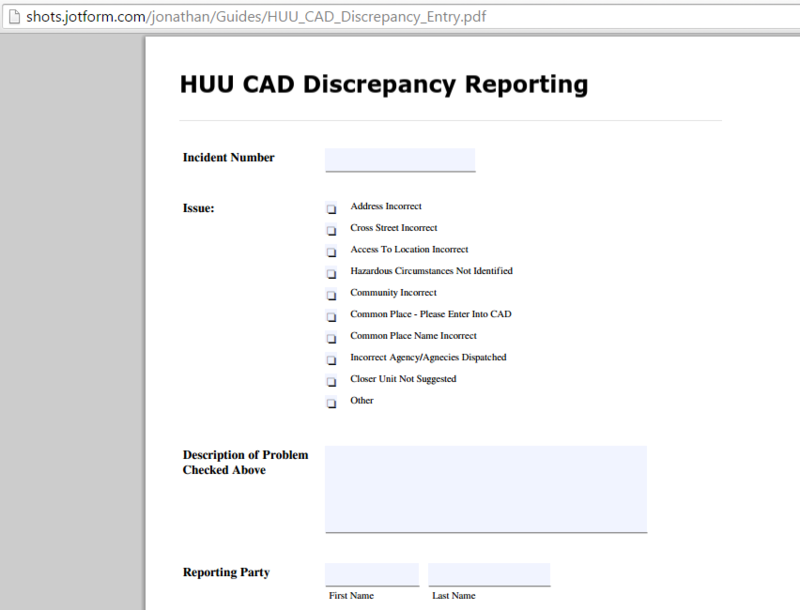 Every time your form is submitted, the submission data is recorded and can be seen on your form's View Submission page. Please let us know if still not clear. Perhaps you were referring to the Submission Emails? 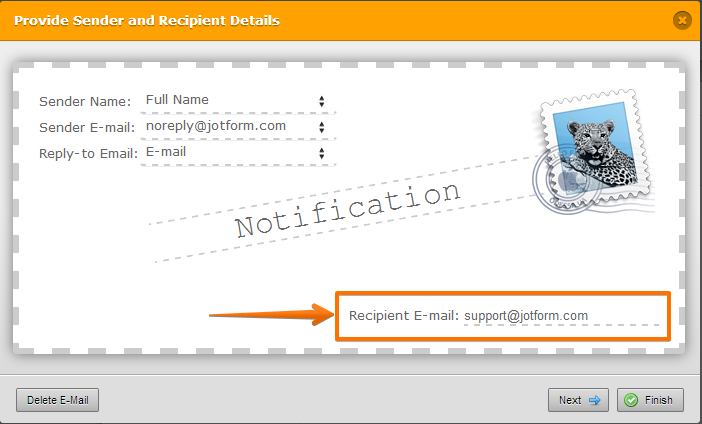 You can direct to which the submission email is being sent by modifying the Recipient E-mail address of the form Notifier. My organization likes their old forms generated in excel/word/adobe. I utilize Adobe Acrobat Pro to turn those into 'fill-able' forms with named fields, and then DISTRIBUTE the fill-able forms (exactly like they were used to using, no 'learning' anything). When the user would fill them out, Forms Central had a 'Submit' button on the bottom that would dump the results into Submissions. While I enjoy the format and ability to have themes for new forms, I would like the ability to continue to import distributed, non web-based forms, in full 8.5"x11" format, with identified fields that dump data into JotForms. In Forms Central, you could choose to 'Distribute' the form, and Forms Central would handle the integration of the form/database. 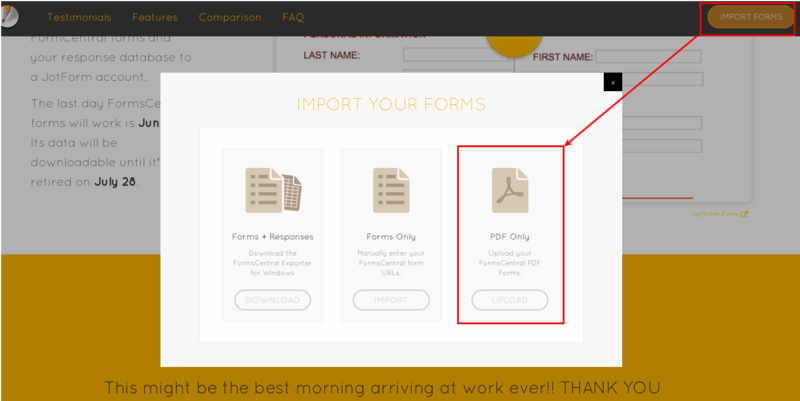 JotForm have a feature to Create Fillable PDF Forms. I made a test using one of your jotform http://www.jotformpro.com/form/52087856939978 and converted it to PDF Form. The PDF From can be used offline and will need to be online if needs to be submitted. Hopefully this is it. Let us know if still not. I do appreciate the answer. I think my question revolves more around how do I get an form uploaded into JotForms?